2 - 3 persons studios @ Anny Studios Perissa beach are situated at the centre of Perissa, 30 meters from the beach (the location couldn't be better). Perissa is one of the most popular destinations of Santorini Island, is the longer beach famous for the infinite black sand and the dark blue waters, where you can enjoy various water sports, diving, snorkeling, a water park, horse riding, mountain hiking and ..?..?.. ?.., there is also many restaurants, cocktails bars, clubs and shops are all around Perissa Beach. Our place has swimming pool, a snack bar next of the pool, satellite TV room , WI-FI IN LOBBY &amp; ROOMS FOR FREE!!! Laundry machine to use for free, free internet corner, reception services, foreign exchange, transfers, car and motor rentals, book tours around the island and our unique volcano. 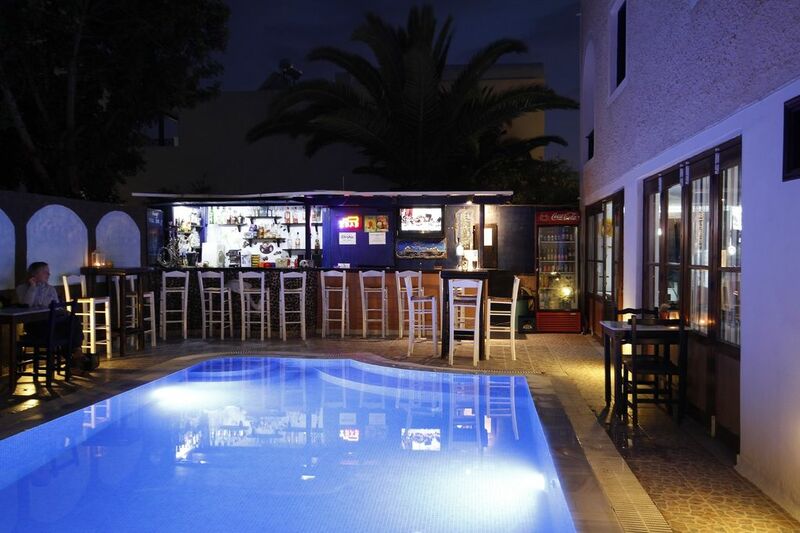 We want to promise that we do the best for an unforgettable time in our studios and our bar. We were a bit late arriving at the airport but as promised Vasillio was waiting for us to transport us to the hotel. We were warmly greeted, told a bit about the location, available excursions and recommendations, and taken to our rooms. Room was basic but perfect for what we needed. Soap and shampoo not provided so make sure you bring your own. You can’t drink water from the tap but they make large bottles of water available at the pool bar at very low price. Location is outstanding for staying near the beach. We really didn’t know much about the area so we booked here for 3 days and then at another hotel up the road for 3 days that seemed a bit more upscale. Ended up being a big mistake because we loved Annys location. Pool bar is awesome with good prices. They recommended a full day excursion that turned out to be the highlight of our trip for 35 euros each! For great economy, location, and service I would highly recommend Annys and their staff. Had a wonderful stay at Annys studio in Perissa beach. Perfect location right on the beach. Kind and accommodating staff. We were under the impression when booking that our room had a separate bedroom, but were nonetheless happy with our stay! Wish we had known all water in the sinks and showers would be salt water though. Rooms were clean and comfortable. We recommend this place !